Remember that power outage? TEPCO released the result of their investigation on March 25, 2013. The mouse has a mark in the stomach from an electric shock. backup M/C in the Process Building. 1. The ground relay in B system operated: The failure is assumed to have occurred in B system and high voltage power supply system. Building (3A) tripped due to overcurrent. : The failure is assumed to have occurred in the downstream of the regular M/C in the Process Building (4A). e occurred in the upstreamof the load systems of Units 3-4 temporary M/C. downstream of Units 3-4 temporary M/C (A) (5B). 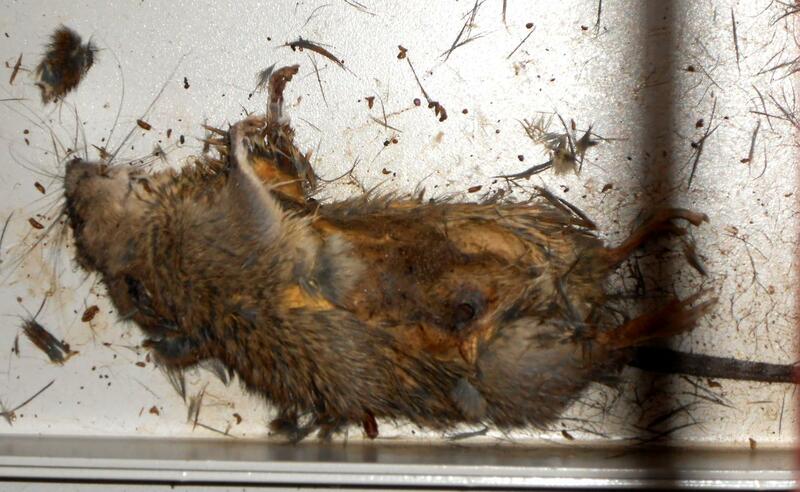 TEPCO will install mouse traps as countermeasure. Gee, if mice can live inside the PP, radiation mustn't be so bad after all. @11:02 You are perfectly right: there are no immediate effects for health at F1. In fact, not only mices but even someone like you would be able to walk to the switchboard and get his dose of 66,000 Volt; please feel free anytime. Experts say that this kind of voltage helps preventing the development of cancer too. it would be good if the poor little dude resurrected as ultra radioactive mouse and took revenge on tepco executives but unfortunately nature doesn't work that way except in japanese movies. Thank you LaPrimavera for following this up and your reporting in general! Actually the mouse incident caused at least FOUR subsequent failures of several other systems, supposedly redundant. This was caused by current/voltage imbalancies due to the short in MC 5A of the Units 3-4 temporary M/C (2A). In the [Analysis] on page 2 they list and describe the four failures that were caused by that incident. The schematic tells even more. All these failures happened in higher hierarchies of the electrical distribution, which SHOULD not at all have been affected by this incident in a small distant part some circuit breaker hierarchy levels deeper! In other words, this was a chain of failures caused by side effects not accounted for in the planning of the complex electric system. A minor short in a small remote part of the installation resulted in a large partial domino collapse of the electric distribution. This shows again how the supposed "redundancy" concept is flawed. The mouse incident happened in the 6.3kV part, not in the 66kV part of the installation, see the schematic on pg. 2. However, this makes not much difference in the end, as the mouse didn't have to suffer long. FuD reports that the mouse radiates at 15mSv/h.